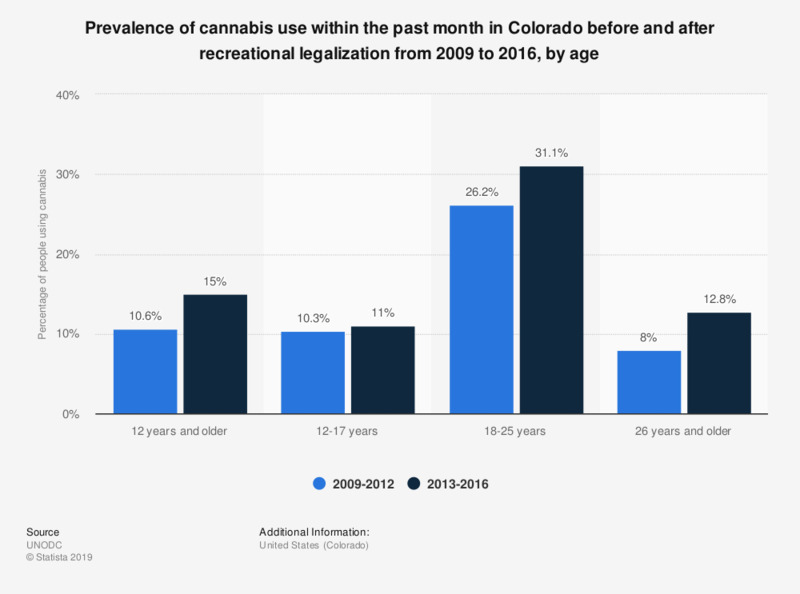 This statistic shows the percentage of youth or young adults that used cannabis within the past month in Colorado from 2009-2012 and from 2013-2016. After 2013 cannabis use was legalized in Colorado. According to the data, among those aged 18-25 years 26.2 percent used cannabis prior to legalization. After legalization 31.1 percent of those aged 18-25 years used cannabis within the past month.